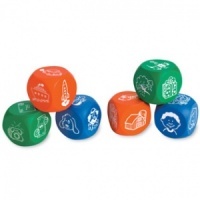 Can be used for individual or group activities. 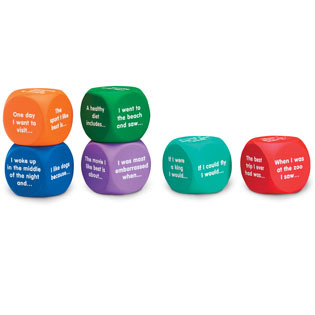 These quiet foam cubes can be used in both creative storytelling and non-fiction writing and language activities. The cubes feature different writing prompts on every side - 36 prompts in total.